The overall aim of this overseas expedition was not only to teach the Cadets and Staff about adventurous training but also to teach them life skills in adapting to change within a new environment, teamwork and leadership. The Cadets were aged between 15 and 18 and both Cadets and Staff were from Cumbria and Lancashire Wing. The Benasque Valley in the central region of the Spanish Pyrenees was the chosen location and proved very suitable for the experience. Whilst on the expedition, the Cadets were in charge of their own budget, where they were each responsible for planning, buying and cooking their own food. Not forgetting the washing up afterwards of course! In addition to being pushed physically and mentally with the extended camping and activities, the Cadets took it in turns to be the leader for the day. Deciding what exactly we were to do, the timings and spend for the day. The leaders on certain days also had to work alongside the accountant (one of the Cadets) to organise and book any activities, such as kayaking. Through successful budgeting, the group managed to do white water rafting on our last day in the valley, which, for many was the highlight of the trip! Unfortunately, due to poor weather conditions, we only managed one successful overnight wild camping expedition, instead of the 4 we had originally planned. We did however, manage all our planned acclimatisation day walks, where the Cadet leader for that day took charge, led the walk, navigated and took control of the group as far as the weather/environment would allow. 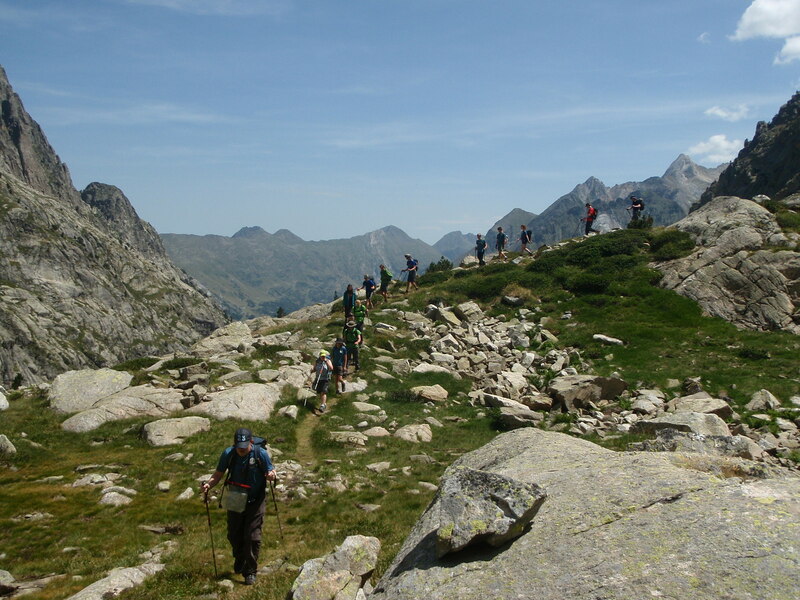 Between our planned mountain walks and overnight expeditions we had a full activity programme which included sports climbing on local crags and kayaking. Again the cadets were involved in the choices, planning and leadership of these days. When our programme allowed the group headed into the local town to purchase food for their planned and budgeted menus in their micro food groups. This proved to be excellent training in real life skills and choices.. 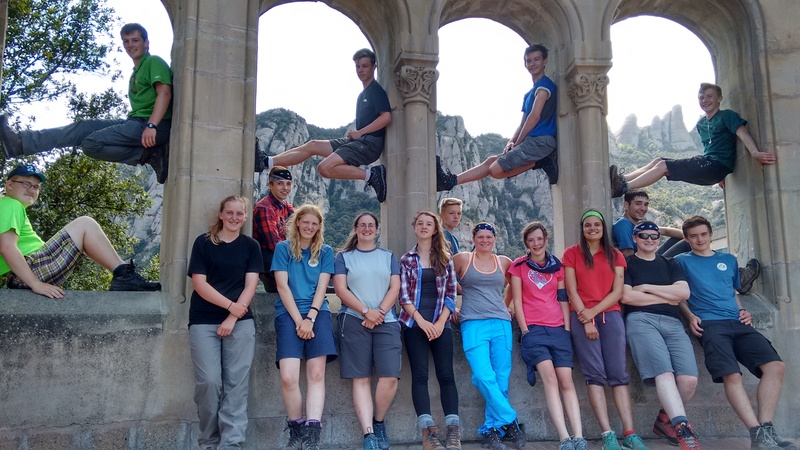 It was a sad time for all having to pack up camp ready to come home, however, we weren’t willing to waste the day, instead we had a final exploration, this time of Montserrat, a mediaeval monastery complex close to Barcelona. This gave the cadets an insight into a different aspect of Spanish life. Everyone reluctantly headed for the airport and our journey home. We would like to thank the Ulysses Trust and the RAF Charitable Trust for their support in helping us to make this expedition happen.